LAist gets a lot of event announcements, and we comb through them all to bring you a curated list of what’s happening in LA this weekend, including these 20 events. Don’t forget to check the February Guide, as it has other options, too. We&apos;ll be back on Monday to help you plan the week ahead. XENA: The Official XENA Convention: The 20th Anniversary Celebration is at the Burbank Marriott Convention Center this weekend (Friday to Sunday). It’s the “absolute last official Xena convention” and it’s going to be a paaaartay. Join other fans who celebrate the strong women heroes—Xena and Gabrielle—of the beloved television show. There will be celebrity appearances, photo opportunities, signings, auctions, vendors and parties. Only Single day tickets available (at the door) and start at $25 (for Friday only). FILM: The American Cinematheque and the British Academy of Film and Television Arts in Los Angeles presents a John Boorman retrospective. The screenings begin on Friday night at 7:30 pm at the Aero Theatre with a double feature of Hope and Glory (1987) followed by Where the Heart Is (1990). PPT COMEDY: Speechless begins its L.A. run on Friday at 8 pm at the Hollywood Improv. A hit in New York and San Francisco, the show puts puts “comedians, performers and audience members on the spot—with a PowerPoint presentation they’ve never seen. They’ll be given the task of coming up with a TED Talk, an app launch, product pitches and seminars. The contestants play for glory and prizes. Tickets: $10 ($15 at the door). MUSIC: The Echoplex features a great lineup on Friday night with Cursive headlining and Beach Slang and Twinsmith opening. 8:30 pm. A limited number of tickets ($20) may still be available at the door. FILM: The Nuart Theatre presents a new 4K digital restoration of Roberto Rossellini’s Rome Open City (Roma città aperta) in honor of the film’s 70th anniversary. The drama about the Nazi occupation of Rome is a “shockingly authentic, almost cinema verité experience, conceived and directed amid the ruin of World War II, with immediacy in every frame.” The film runs Feb. 20-26. ANIMATION: The Egyptian presents Titmouse 5-Second Animation Night on Friday at 7:30 pm. The annual event gives Titmouse animators “the chance to bring to life whatever strange/beautiful/disturbing/funny ideas they&apos;ve had all year as a short-format cartoon” and screen them for family and fans with a few of the studio’s rarities thrown in for good measure. General admission tickets: $11. COMEDY: The Last Bookstore in DTLA presents a free standup comedy and variety show on Friday night at 8 pm. The Last Comedy Show with Anna Akana & Friends also includes performers Asif Ali, Beth Stelling, Jake Weisman, Sam Comroe and Christian Spicer. HAMLET + DRINKING: The Hamlet Project is an adapted version of Hamlet staged in a bar—and features drinking games and some audience participation. After debuting at St. Nick’s Pub in 2012, The Loose Cannon Collective moves the show to the Park Plaza Hotel. Tickets: $10-$15, and runs Feb. 20, 26, 27 and March 5 at 8 pm. ART: Red Pipe Gallery in Chinatown opens the solo exhibition As Above So Below, with works by artist Bobbie Moline-Kramer on Friday. 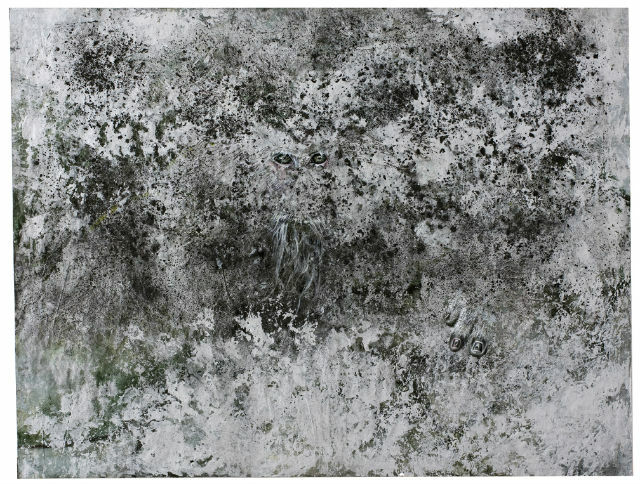 Though she’s known for her photo-realistic paintings, she’s moved into the world of the abstract with the new show, which was inspired by Japanese snow monkeys (macaques). There’s a reception for the artist on Feb. 28 [next Saturday]. The works remain on view through March 21. ART: Giant Robot 2 (GR2) presents the group exhibition Wavelengths, featuring new work by Stasia Burrington, Elliot Brown, Aaron Brown, Albert Reyes, Aya Kakeda, Jen Tong and Taehoon Kim. There’s an opening reception on Saturday from 6:30-10 pm. The works will remain on view through March 11. ZOODIAC: Celebrate the “Zoodiac”—a Lunar New Year celebration this weekend at the L.A. Zoo, with dragon dances, martial arts demonstrations and a spotlight on animals that are connected to the Chinese Zodiac. Since it’s the Year of the Sheep, there will be special zoo keeper talks and feedings for animals related to the sheep and goat families. Food trucks will be on hand, too. Admission: $19; $16 for seniors (ages 62+), and $14 for children (ages 2 to 12). No ticket is required for children under 2. 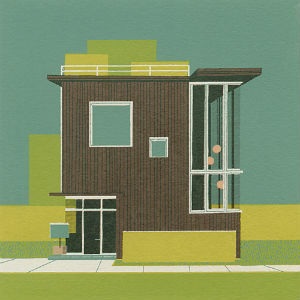 ART: Gallery Nucleus in Alhambra presents the art show California Modernists featuring artist Chris Turnham&apos;s new silk screens and Loris Lora&apos;s paintings from her new book: Eventually Everything Connects, a hardcover that focuses on the history of California modernism. Opening reception is on Saturday from 7-10 pm, and the works will remain on view through March 1. OPERA: The Industry and wild Up present First Take—a showcase of six new experimental operas in development on Saturday at 1 pm at the The Wallis Annenberg Center of Performing Arts. Special guest Joan La Barbara performs concert readings of works-in-progress by Jason Thorpe Buchanan, Nomi Epstein, Jenny Olivia Johnson, Anne LeBaron, Andrew McIntosh and Paul Pinto. The program is free and open to the public and seating is first-come, first-serve. Doors open at 12:30 pm. COMEDY: Comedy Dream Time is a live comedy show hosted by comedian/writer Joseph Scrimshaw that takes place on Saturday night at NerdMelt at 9 pm. Scrimshaw and guests James Urbaniak, J. Elvis Weinstein and Allie Goertz perform a mix of sketches, sets, songs and other shenanigans based on the guests’ unfulfilled comedy dreams. Free. RAZZIES: For the first time ever, the general public can attend the infamous Razzie Awards, live on stage at The Montalban on Saturday night at 8 pm. You’ll never know who might show up to claim an award. Tickets: $25. FILM: The suspense/thriller Treehouse—about a lost girl trapped in a treehouse and two brothers who try and free her—has a run at Arena Screen this weekend with a Q&A with director Michael Bartlett and cast after the 8 pm screening on Saturday night. BIKE RIDING: The Bike Talk podcast and The Feminist Library On Wheels (F.L.O.W.) present Open Books “Lost Cyclist” ride with bicycle historian David Herlihy on Sunday afternoon. Join the group for a leisurely, social ride to three indie bookstores. Meet at noon at The Last Bookstore for a talk about the adventures of the first cyclists to travel around the world with Herlihy, guest curator of the exhibit Round Trip: Bicycling Asia Minor, 1891, currently on view at the Fowler Museum at UCLA. The group will then ride to Stories Books and Cafe on Sunset Boulevard, for browsing and treats. F.L.O.W.’s trike meets the group and rides along for the last part of the ride to Skylight Books in Los Feliz. If you’re in the mood, ride back to Stories at 5 pm for the program BUSted, featuring true tales from people who get around L.A. without cars. Bring a helmet (required for riders under 18), front and rear lights, a lock and to make sure the bike is in good shape. 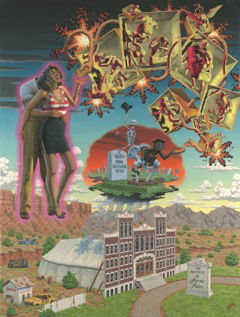 ART: Barnsdall Art Park launches the 2015 arts season by opening two exhibitions, Robert Williams: SLANGAesthetics!, which showcases his new work, and 20 Years Under the Influence of Juxtapoz, a group show guest curated by Andrew Hosner of Thinkspace Gallery and Gary Pressman of Copro Gallery. These two exhibitions commemorate the 20th anniversary of Juxtapoz magazine, which Williams founded in 1994. The exhibitions will be accompanied by programs including a film screening, curators talk, book signing and art workshops. The shows’ opening reception is on Sunday afternoon from 2-5 pm at the L.A. Municipal Art Gallery. ART: Yarn Bombing Los Angeles (YBLA) presents a #BlackLivesMatter Pop-Up on Sunday from noon to 5 pm in the CAFAM courtyard. The afternoon includes activities for the entire family, including a mural-by-numbers activity, poster screen printing workshop, arts and crafts, story time, DJing, food and more. Free event. PING PONG: Spin at The Standard in DTLA presents a OneKid OneWorld ping pong party and tournament from 12-3 pm to raise money for programs to benefit underserved communities in El Salvador. Tickets are $20 per person and will be sold at the door. Please RSVP via email to secure a spot.